As an instrument, the bassoon has had a remarkable history. Beginning with its Renaissance ancestry as the dulcian, it developed during the Baroque period into an almost indispensable part of the ensemble. Antonio Vivaldi recognized the versatility of the bassoon early on, composing no fewer than 39 concertos for it. But it was in the second half of the century that the bassoon achieved an equal prominence with the other woodwinds. 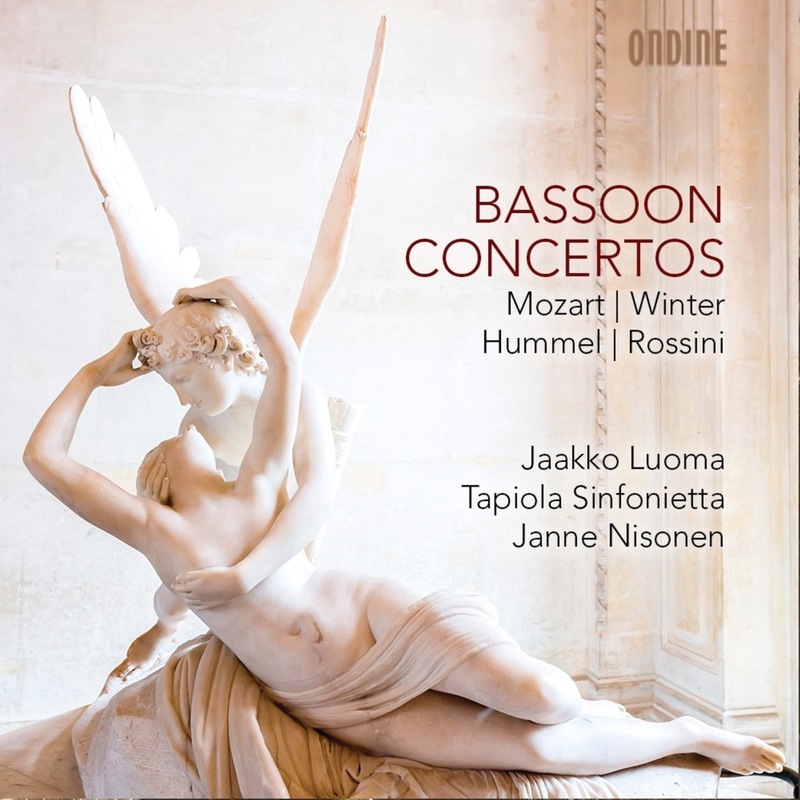 The four delightful works on this album, performed by Jaakko Luoma and the Tapiola Sinfonietta, represent different facets of the Classical period solo repertoire, each of which makes considerable demands on the instrument. W. A. Mozart’s Bassoon Concerto was composed in Salzburg in 1774. It is the only one of the five concertos for bassoon composed by Mozart that have survived. It is a bright, sunny piece written at the age of eighteen, in which Mozart reveals himself fully aware of the capabilities of the instrument. J. N. Hummel was a favorite pupil of Mozart, who at an early age demonstrated his skill both a composition and the fortepiano. His Bassoon Concerto, written c. 1805, reveals influences from Haydn, Weber and Mozart. Both Peter von Winter and Gioacchino Rossini were best well-known during their lifetime as composers of operas. Today, Winter’s woodwind concertos, including his Bassoon Concertino, are his only works that have remained in the concert programmes. Rossini’s Bassoon Concerto was allegedly written in 1845 as a graduation piece for a music academy. Although Rossinian in style, the actual origin of the work cannot be verified. Nevertheless, the work is a fine example of its kind among Classical bassoon concertos. Jaakko Luoma has appeared as soloist all over Finland and in Europe. Luoma became member of the Tapiola Sinfonietta in 1993. During the years 1996–98 he served as solo bassoonist of Orchestre de Paris. Between 2001 and 2003 he also served as solo bassoonist of Rundfunk-Sinfonieorchester Berlin. 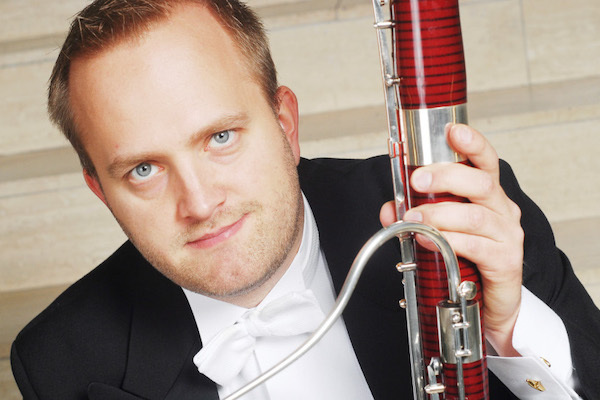 Today, he is principal bassoonist of the Tapiola Sinfonietta.